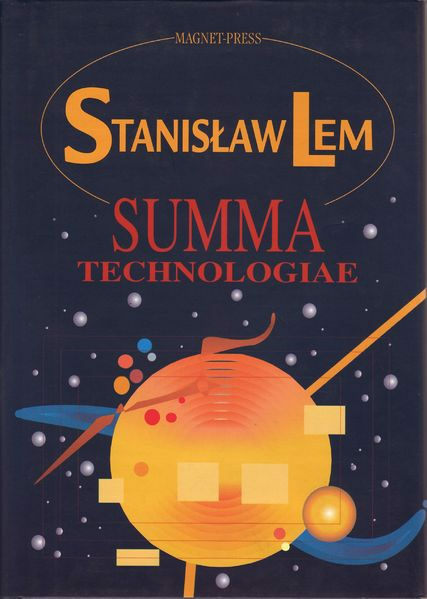 It has been said, and with much justice, that Stanislaw Lem has transformed science fiction from a genre to a literature. His current collection of short stories, essays and obiter dicta bear out this high characterization because it shows that Lem has lost none of his inventive powers, ironical musings, corruscating wit and narrative skills. 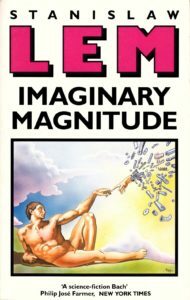 The concept of Imaginary Magnitude is itself thought provoking: In the next century people will be too busy to read books from cover to cover. Accordingly Lem provides us with the prefaces to important volumes. In the fantasy which Lem concocts, all of Bitic studies arc subjected to scientific analysis while a special emphasis is placed on four “peaks,” namely monoetics, mimesis sophocrisis and apostasy. The high point in Lem’s reconstruction of future umes is his introduction to “Eruntics,” in which the Golem XIV and the talking bacteria reader is treated to a highly sober account of how Reginald Gulliver (the name is not accidental), an amateur bacteriologist, decided to teach bacteria English. 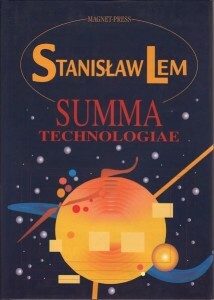 If Summa Technolologiae had been translated to English immediately after publication, some of the neologisms coined by Lem for technologies that didn’t exist at the time would be still used today. So Google would do “ariadnology” (a guide to the labyrinth of the already assembled knowledge), virtual reality would be “phantomatics,” neuroscience would be “cerebromatics,” and artificial intelligence would be “Intelectronics.” In all cases, Lem imagines developments more advanced than today’s technology – for example phantomatics and cerebromatics provide full stimulation of all senses via direct neural interfaces with instant feedback loops, influencing mental processes while bypassing afferent neural pathways, and intelectronics achieves consciousness and intelligence amplification in machines.